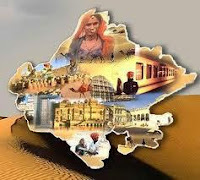 Rajasthan GK Question in Hindi Sample Paper 183: Rajasthan General Knowledge Sample Question Paper with Collection 10 Question of Rajasthan GK Questions for RAS, Rajasthan Police, REET, SI, Contable, Patwari and other state exams under GK Quiz in PDF @ Rajasthan GK Sample Papers. Rajasthan General Knowledge (GK) and General Studies (GS) Questions from various examinations of Rajasthan Govt. and central Govt Examinations. Q.3451 रिसर्जेंट राजस्थान पार्टनरशिप सम्मलेन 19-20 नवंबर 2015 को किस शहर में आयोजित किया गया ? Q.3452. भारत के अगले मुख्य न्यायधीश के रूप में दिसंबर 2015 से किसे चुना गया है ? Q.3453. 21-22 नवंबर 2015 को दो दिवसीय रंगारंग "वागड़ महोत्सव" का आयोजन कहाँ किया हुआ?